We love gifts that can be used every day; beautiful objects that also serve a purpose, while transforming daily rituals. 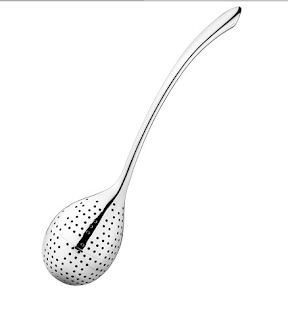 Georg Jensen's lovely Helena Tea Egg, designed by Spanish jewelry designer Helena Rohner, is graceful and really does feel like jewelry in the hand. its the perfect gift for the tea lover in your life. Alvar Aalto's iconic series of glass vases from 1936 was inspired by the waves in water, its Scandinavian origin makes it feel at home in the Pacific Northwest. The Salmon pink adds a nice touch of color to our sometimes gray winters. Aalto Vase from ittala, $175. 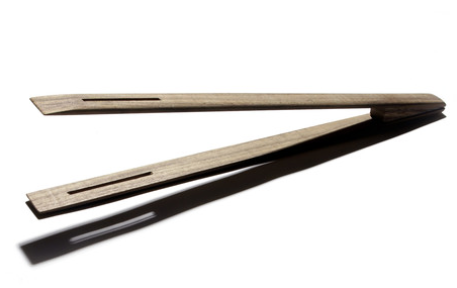 The oiled walnut Antipasti tongs by Side-by-Side are not only the perfect hostess gift, but they have a humanitarian edge; they are produced in German workshops employing the disabled.